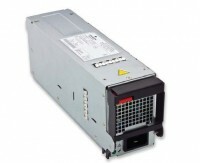 The DS3000PE power supply maximizes the current that can be drawn from C19/C20 AC inlet distribution. Measuring just (L)11.1" x (W)2.78" x (H) 4.15", six DS3000PE supplies can fit nicely in a 19" rack for 3+3 or 5+1 redundant configurations. Certified for platinum level efficiency, the DS3000PE are also fully digital and compatible with Artesyn Embedded Technologies' universal PMBus™ graphical user interface, allowing control via an integral I2C interface using the industry-standard PMBus communications protocol. The power supply generates a main payload output of 12 Vdc and 250A for feeding downstream dc-dc converters in systems using distributed power architectures, together with a 12 Vdc standby output rated at 4.5 A for power management circuitry. Active current sharing helps maximize cost-effectiveness by eliminating the need for additional components when paralleling multiple power supplies for very high current applications. Size (L x W x H):11.100" x 2.780" x 4.150"